In the Bloomingville toy box, toys and cuddly toys always have a fixed place in the nursery. The box is equipped with wheels so that the toys can be quickly collected from the entire apartment. This makes tidying up particularly quick and keeping things tidy is no longer a problem. 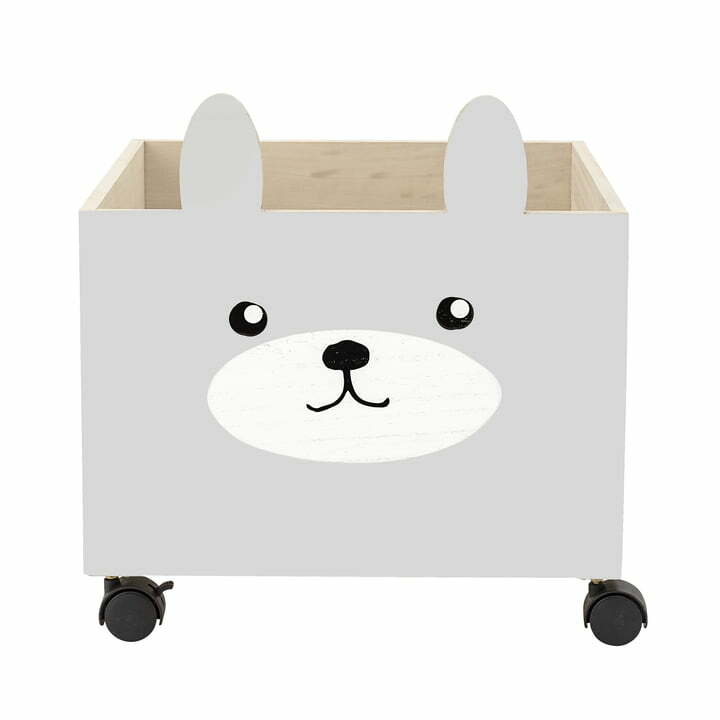 Thanks to the cute design with an animal face and protruding ears, the box does not have to disappear under the bed, but can act as a decorative component of the room. The toy box fits into both girls' and boys' rooms. 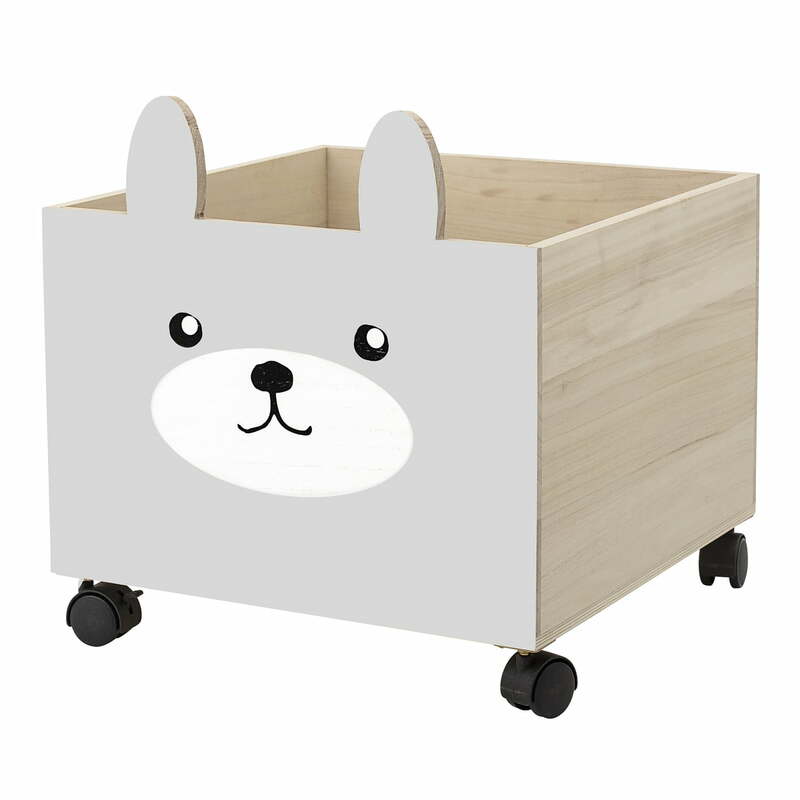 The toy box is made of Paulownia wood and MDF. Toy box with rolls of Bloomingville in single view. In the Bloomingville toy box with wheels, toys and cuddly toys always have a fixed place in the nursery.